Trendy and edgy look for men that can be worn with any wardrobe. 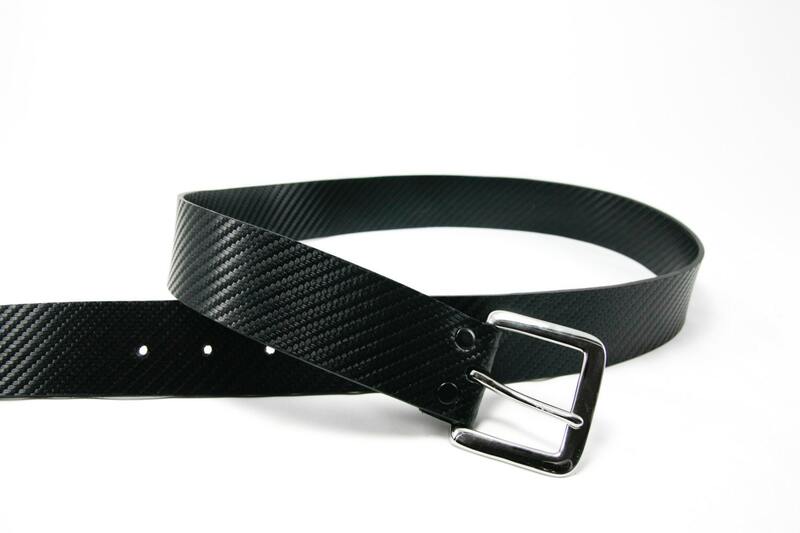 Carbon Fiber look on both sides of leather belt for clean and finished look. 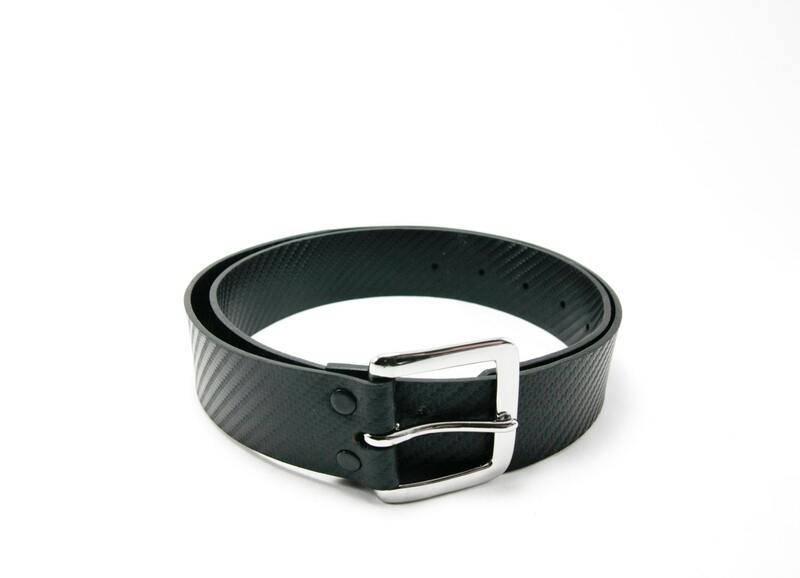 Snap closure on belt allows for interchange of buckles for those who like to change their look!